Cold & Flu Season, It's Here! With tens of thousands of patients flocking to hospitals and at least 37 children dead, this year’s flu season is shaping up to be the worst in nearly a decade — and it’s not over yet. At a time when experts hoped new cases would start tapering off, federal health officials said Friday that the number of patients seeking care for flulike symptoms continues to rise sharply. Nearly 12,000 people have been hospitalized with confirmed cases of flu, an increase of 3,000 in just one week, according to the Centers for Disease Control and Prevention. The latest report, for the week ending Jan. 20, shows the rate of people seeking care now rivals that of the swine-flu pandemic of 2009. The CDC estimates that every year since 2010, influenza has resulted in 9.2 million to 35.6 million illnesses, 140,000 to 710,000 hospitalizations, and 12,000 to 56,000 deaths in the U.S. The lesson you have been taught since grade school is still one of the most effective ways to prevent sickness. Since you touch your mouth, eyes and nose on a regular basis, even if you don’t realize you are doing so, it is important to ensure your hands are not carrying around harmful germs. Therefore, washing your hands with soap and warm or hot water after using the restroom, before you eat or after coming into contact with something many people have touched is wise. Be sure to do this frequently when you’re traveling or at busy shopping malls this holiday season! Because of the fact that germs enter your body through your nose, eyes and mouth, it is important to refrain from touching your face as much as possible. Another way to boost your immunity and keep colds and flu at bay is eating healthy. Avoiding alcohol and refraining from smoking both of which can negatively impact the immune system is a good idea. In addition, eat dark yellow, red and green fruits and vegetables. 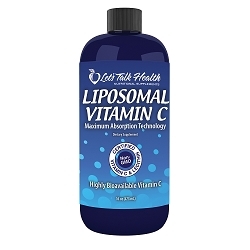 If you are not a healthy eater or want to boost your immunity even more, consider adding the our best-selling Liposomal Vitamin C to your immunity boosting regimen. The liposomal delivery system dramatically increases the absorption of vitamin C without the stomach distress often associated with regular vitamin C.
It would be nice to avoid coming into contact with anyone who is sick during the cold and flu season. However, since that is not feasible, it is wise to protect yourself as much as possible from becoming ill. The tips listed above will help you do just that. I have been using this product for years. It works, I love it, and I will never stop taking it. I have not been sick all winter and I was caring for an elderly mother who did get the flu. I thought that was pretty amazing. Thanks Patrice for your kind words. It is great to hear that in such a overwhelming flu season that our Liposomal Vitamin C has given you such great protection.